“Here’s to my city!” Wiz Khalifa said to thousands of elated festivalgoers as the melody of his Pittsburgh Steelers-inspired anthem “Black and Yellow” began to play. The Pittsburgh native and award-winning rapper performed as headliner of the 2017 Thrival Innovation + Music Festival this weekend. The event was held in Swissvale at the Carrie Furnaces from Sept. 29 to 30, and featured various artists including Logic, Carnage, GRiZ, Echos, Circa Waves, Kiiara and Two Door Cinema Club. Casper Cheng, a sophomore computer science major, went to Thrival around 5 p.m. Friday to watch the performance of Circa Waves and enjoyed the music festival vibe. Each year, Thrival hosts some headliner artists to attract larger audiences. Last year it was the Grammy Award-winning duo The Chainsmokers, and this year the majority of people went for popular Maryland rapper Logic and the Pittsburgh native Khalifa. While both are prominent in the hip-hop industry, the two rappers brought very different vibes to the event. Khalifa’s Saturday performance lent a more carefree and party-driven atmosphere to the festival, while Logic’s performance the night before brought a more serious tone with emotional pleas to the audience and tearful confessions. Shortly after Logic took the stage, something went wrong. His voice became quieter and less present as people began finding his music videos — playing on the huge LED screen by the stage — more intriguing than the live performance itself. In the middle of his set, Logic walked off stage for several minutes but returned to explain why he had been acting so abnormally. After revealing his anxiety and poor physical condition to the audience, Logic said he would try his best to finish his songs and said he appreciated all his fans and friends who supported him through everything. Khalifa’s show, on the other hand, was focused mostly on marijuana usage. 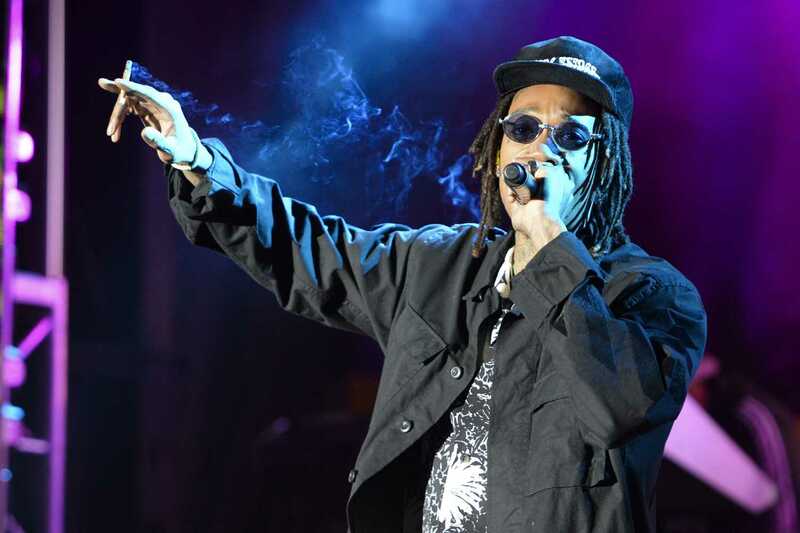 As an active advocate of legalizing marijuana, Khalifa made his love of the drug no secret to the public. He held what looked like a joint between his fingers when he showed up on the main stage, giggling and swinging in his polka dot shirt and iconic sunglasses. The rapper said marijuana could be used to treat addictions and possessed other important medical values. Two gigantic balloons of rolling paper floated above the audience’s heads toward the latter half of his set, celebrating his message. Before Khalifa came out with his joint, the staff from Ascender — the founding organization of the two-day music festival — appeared on stage and gave a five-minute closing address for Thrival. By launching the Thrival Music Festival, Ascender aimed to “break the stereotype” of Pittsburgh as “the old steel town” and to raise money for local entrepreneurs and young professionals through the event’s revenue. Cyrus Basseri, the founding president of the first entrepreneurship fraternity at Pitt — Sigma Eta Pi — worked as a photographer for Ascender during the Thrival Music Festival this year. Basseri said he felt excited about witnessing the festival’s rapid growth in the past few years. Basseri said Bobby Zappala, one of the key founders of Thrival, aimed to tie the festival to Ascender’s goal of promoting entrepreneurship in the Pittsburgh area. “Pittsburgh, I will be back!” Khalifa said.